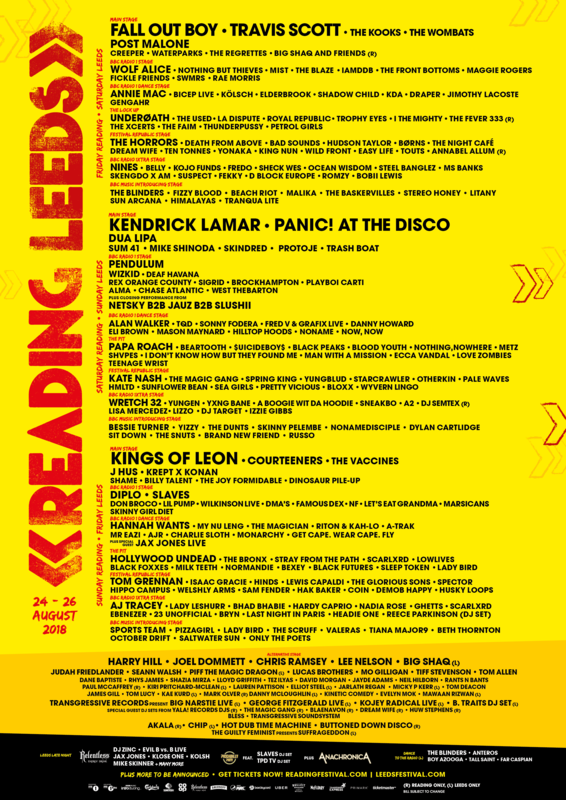 Last night, BBC Radio 1 DJ Huw Stephens announced the exciting new artists who will perform on the BBC Music Introducing stages at Reading and Leeds Festivals in 2018, with the legendary secret sets still to come. Headlining the BBC Music Introducing stage at Reading on Friday 24th August and Leeds on Saturday 25th August, are South Yorkshire’s The Blinders who have taken the live circuit by storm with their blend of proto punk politics, and psychedelia laden lyricism. Joining them are Fizzy Blood, Beach Riot, Malika, The Baskervilles, Stereo Honey, Litany, and Sun Arcana. Yizzy, The Dunts, Skinny Pelembe, Nonamedisciple, Dylan Cartlidge, and Sit Down will appear at Reading on Saturday 25th August and Leeds on Sunday 26th August, topped by BBC Music Introducing favourite Bessie Turner, whose eclectic and soulful style has been championed by the likes of Zoe Ball, and Steve Lamacq. Entering 2018 as one of the UK’s most exciting and important discoveries, Sports Team will headline the BBC Music Introducing stage at Leeds Festival on Friday 24th August, and then Reading Festival on Sunday 26th. Pizzagirl, Lady Bird, The Scruff, Valeras, Tiana Major9, Beth Thornton, and October Drift will also perform. Fans can be the first to hear further line up announcements, artist news and much more by signing up to the newsletters at www.readingfestival.co.uk and www.leedsfestival.co.uk or via the official Reading and Leeds Festival app, available to download now on Android and iOS.